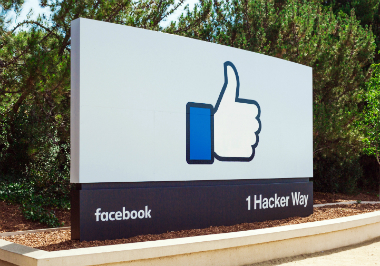 What Is the Facebook Algorithm? The Facebook algorithm takes into consideration engagement, relevance, timeliness, and thousands of other factors in an effort to populate people’s News Feeds with more of the stuff they want to see, as inferred by Facebook. In a sentence, the Facebook algorithm weighs factors to determine on a post-by-post basis whether a post is qualified to pass into an individual’s News Feed. And given Facebook’s impressive stats (1.71 billion monthly active users at last count), it’s worth finding out how to extend your content’s reach organically on this platform. What’s in the Facebook Algorithm? Facebook calculates the authority and importance of Facebook Pages based on several factors — the most prominent of which is social interactions. The social site rewards engagement, so the algorithm considers the ratio of engagements to total number of followers. The number of people “liking” your Page isn’t the main criterion. Content creators having real interactions with people, even if the audience size is smaller, carries more weight in the algorithm than an account with thousands of mute (and possibly fake) followers. But that’s on the Page level. Individual posts have ranking factors, too. The engagement cues that count in the algo include likes, clicks, comments and shares. But the social network also looks at the length of time spent viewing a post in the News Feed as an indicator of content people want to see more of. The lesson here isn’t surprising — quality counts. 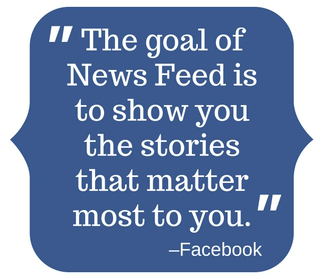 The News Feed filtration system — once called EdgeRank but now simply referred to broadly as the Facebook algorithm — takes into consideration as many as 100,000 individually weighted factors to deliver the most authoritative, relevant, and timely content to individuals. 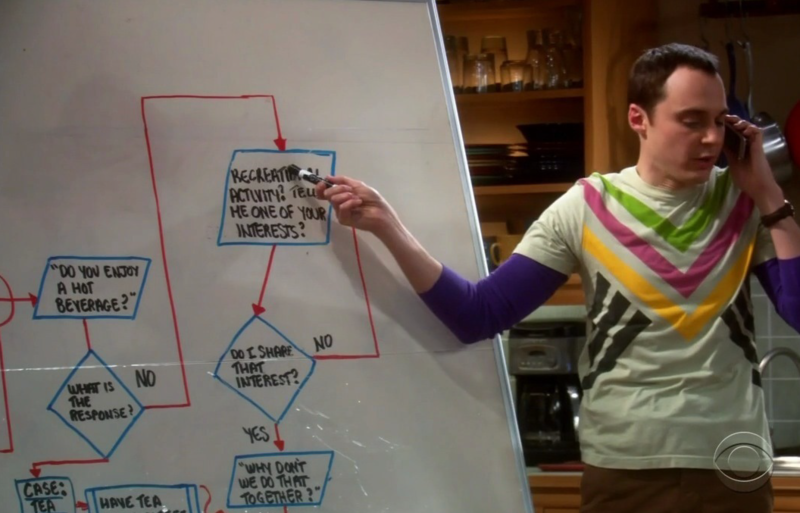 Sheldon explains the friendship algorithm on The Big Bang Theory. His algorithm has more to do with real, in-person friendship and less to do with news feeds, but you get the idea. Of those 100,000 considerations, the three original EdgeRank factors — Affinity, Weight, and Time Decay — are still relevant and prominent ranking factors. In other words, EdgeRank hasn’t gone away. Its principles have simply been folded into a much larger, more advanced contemporary Facebook algorithm. Facebook keeps adjusting its algorithm. It’s not just trying to find the right balance of ads and content, but also the right mix of shares from various sources. Interaction a post is generating: Not just how much, but also what type — liking, commenting, clicking, sharing, or time spent viewing. Each of the interactions has its own weight depending on the amount of effort it takes to perform. Who made the interaction: How directly connected is the user to the poster? It’s based on manual friendship designations, the user’s preferences, closeness inferred by interaction, and other factors. When the post was made: Time decay happens because the News Feed rewards freshness. Post popularity: If a post is losing the freshness edge because of time decay, but lots of people are still actively commenting on or sharing it, the engagement can trigger a bump that expands the post reach. UPDATE 2/27/2017: Facebook announced today that it is “updating News Feed to weigh reactions [haha, wow, love, sad, angry] a little more than Likes” to help determine what an individual user is most interested in seeing. Social sharing is a critical part of content marketing. But Facebook isn’t going to appreciate a business Page using Facebook just to promote its own content. Short of boosting posts with actual money, here are a few tips to help you keep your posts circulating through the network. Don’t use click-bait: Facebook’s algorithm weeds out click-bait headlines, the kind that give little information about what the person will find if they click through. So make sure to put enough description in your headlines. Link the right way: Facebook favors links shared as link posts. The algo frowns on image and status posts containing a link in the text. You’ll get even more reach if you leave off the link altogether! Sharing in a variety of formats is best, with and without links. With our own Facebook Page (see here), we get 10X more organic reach on posts without a link — probably because Facebook likes keeping people on its own site. Go for engagement: The social network’s tips for effective posts include: keep it short; use big, beautiful images; and respond to people’s comments quickly. Want to boost your social media engagement? Our social media services may be the answer! Editor’s Note: This is an update of an article originally posted by Chelsea Adams on Sept. 30, 2013. This is highly noticable when you run a fanpage with a large amount of fans and keep an eye on the people each post has reached. you can do it by ear when you get a feel for it of course, but this article summarizes it very well. Thank you for this review. I had noticed some factors during using Facebook, but not all you mentioned here. I think targeting the right audience reduces the cost. I have done regretting before. Thanks. I appreciate the explanation. The engagement aspect is certainly where we need to put more focus. Very nice. As an extra tip,You can create custom audiences to then retarget to on Facebook. I’ve had great results when doing retargeting like this in the past. LOL, facebook’s news feed algorithm sometimes being manipulated by someone to create “trending topics” feature for political bias, it shown at the box in the top right corner and so many users have been led to believe reflects the most popular subjects on the site. Engagement is tricky and often the pain point for many businesses. But the gain is well worth the effort! Thanks for checking out the post, Tom! Thanks Chelsea. I appreciate the explanation. The engagement aspect is certainly where we need to put more focus. I think you found the perfect one sentence takeaway from this post. I also keep that one sentence in my head when directing Facebook content strategies. Glad the post was helpful for you! “More of the stuff they want (as inferred by Facebook), and less of the noise.” I was glued to this sentence, and I think, this one gave me all the information that I need to comprehend what is Facebook’s algorithm. Relevant updates and stuffs that is popping in our news feed is what the users want, rather than seeing and reading unwanted ads, post and updates. The 4 Factors the Facebook Algorithm Takes Into Consideration is indeed helpful to give us as a user what we want. This is such an enlightenment. Thanks! I found this post shared on Kingged.com, the Internet marketing social news site, and I “kingged” it and left this comment. As outlined in the post, it’s all about timeliness and engagement. So, to get your posts pushed out to more news feeds you need to have a Facebook strategy that focuses on content creation that encourages shares and comments (those are weighted most heavily). The easiest way for me to remember it is to just remind myself that Facebook is a SOCIAL network; it was created to help people connect, communicate, share, and socialize with one another — so your content should be created in a way that serves this purpose and helps people connect/communicate/be entertained/share/curate/question with you and with each other. Create winning content that is intended to connect you to your community and you’ll get in front of more people, which will result in more sales. Remember the 60/30/10 rule for social media marketing content strategy: 60% of your content should be engagement focused and NOT ABOUT YOU, YOUR BRAND, OR AN EXCHANGE OF $$ (This content could include third-party news, tech releases, photos, questions, etc. ), 30% blog content that is of interest to your niche market (Emphasis on CONTENT — not sales pitches. ), and 10% direct offers of products/subscriptions/content/other promotions that point directly to you. I didn’t even realize that facebook had an algorithm for news fee, although I did wonder why somethings appeared and others didn’t. Thanks for explaining. Is there anything you can do to influence this?